Judging by last 3 results, Caldwell must have come across well to the Chief Executive G.B. at his interview And after watching the Albion Rovers documentary, I wonder how his assistant got in the front door. Time for Eck to go already! McLeish should never have been appointed. Sacked in previous club jobs told a story, and when it was obvious he wasn't going to get a sniff at the Rangers vacancy again, he more or less begged for the national shift when the SFA cocked-up the task of appointing a better candidate. I would like to know exactly what qualities Grant and McFadden bring to the backroom staff/on the training park/and match days. Players seeking advice from the sidelines - mostly about the system the manager in employing - is a disgrace. It was never ordered or cooked to go off! He talked his way into the Chief Executive job. I never thought he would be back at Firhill after he and Derek Whyte were sacked in early December that year - they still owe members of the backroom staff a Christmas dinner incidentally. How would react if caretaker manager Gerry got the job? Big interview piece and his thoughts on BBC Scottish Football website. 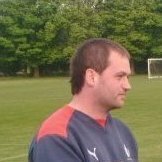 With John Gibson apparently working today, were Petershill able to find a replacement or did the "legend" that is Mr Scott Black make a comeback in goals? Full-time result! I remember what you said about Gints' comments in the local press about the supporters. Bottom of the league, have shipped 30 goals in 8 domestic games, which makes grim reading for good, loyal fans like yourself. I could be wrong, but after the run they went on last season and new signings being added to the squad, surely Meadow supporters would have been looking at a higher place in the top-flight than they currently hold down going into the end of September? Thats a hammering! Will the manager save the committee the trouble and offer his resignation? Looks like it. Stories out of date. Played wel at champions Petershill last season. Has taken over a coaching structure previously ran by John Hillcoat, and works with young goalies on a Tuesday at the Sir Alex Ferguson Park (Harmony Row). Also takes 1 to 1 sessions. Moved recently from Fauldhouse United juniors to Kirkintilloch Rob Roy.